More rudimentarily, texture detail, no matter how close you get in, is faultless in its integrity. 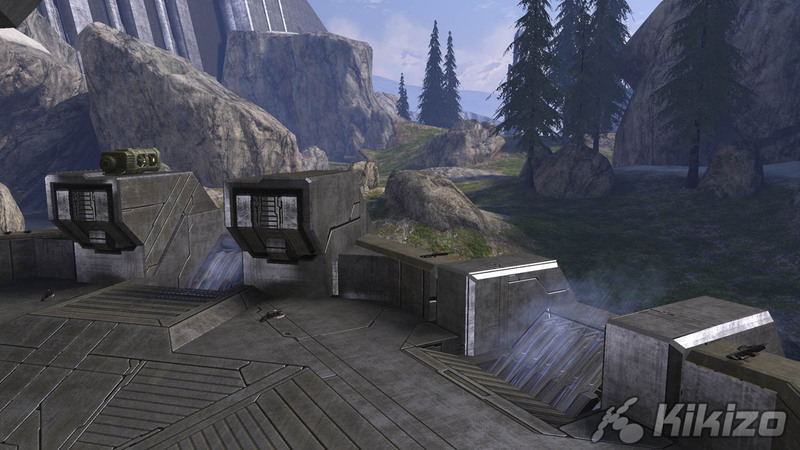 There are some rough edges here and there, though: I've seen angular heads, I've seen Chief's feet clipping into downed enemies, and shooting a downed opponent does nothing to them (unlike a melee attack) - you expect a bit more from Havok, particularly when it does such a great job with physics for the bulk of the game, with all its ragdoll awesomeness. Also, since when has the edge of a cliff been perfectly straight? Come on, this is next gen. It needs to be perfect. While it's a mixed bag, it's only ten per cent rough stuff like this, and ninety per cent 'wow'. 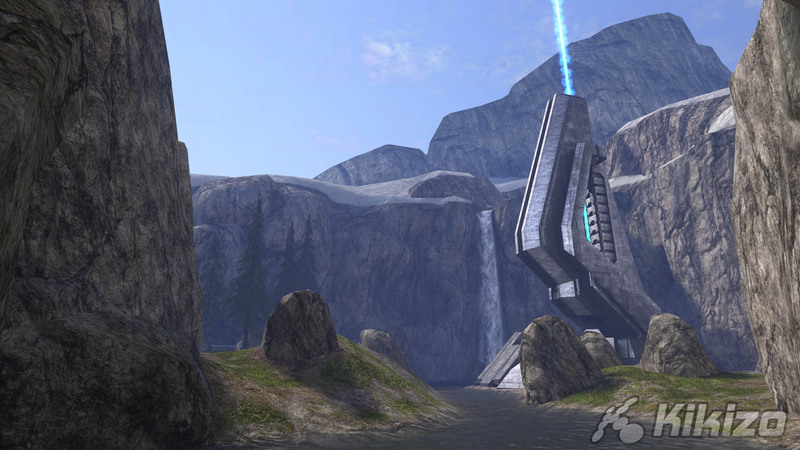 While we've all seen the game at its ropiest, when it's at its best, I thought, yes, THIS is the visual leap we expected from next generation Halo - even if it's not always apparent in game, all the time. Seriously, some scenes are absolutely stunning, and it's almost a shame that Bungie has not shown these off properly in any of the pre-launch teaser material, because they would soon put an end to the graphics bickering. 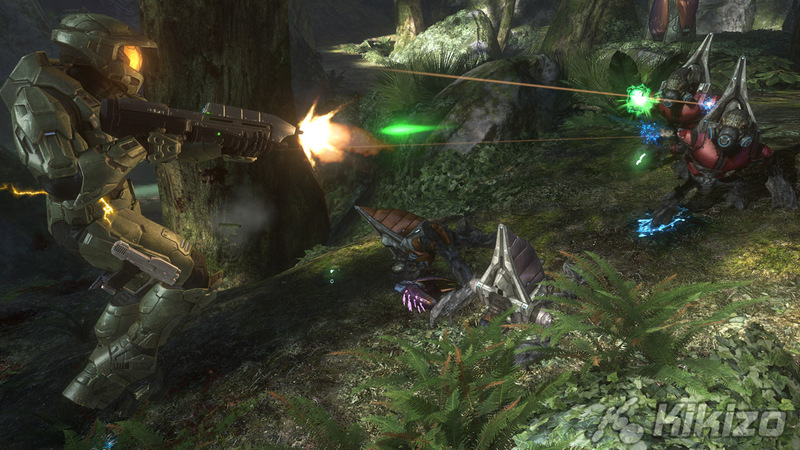 On many occasions, it is easily the finest looking thing you've ever seen on Xbox 360, especially considering the shocking amount that goes on at the same time while retaining a solid framerate. There's a level in the game called Infinite Devil Machine, which I promise you will remember for a long time - it's pretty insane. It's nice to see some very good variety in enemy design and behaviour here, as opposed to the same old (although there's still nowhere near enough of this on the whole). On this level, we have undead enemies that morph into ever more disgusting enemies after they die, enemies that come out of other enemies when they explode... it's pretty vile stuff. And they're no pushovers either; it's like a swarm of ammo-killing monsters that seemingly never die. Patience, cunning and nerves are required to pass, and you will need to be smart about managing your weapons - primary, secondary, dual, grenades, and tools - great action. Eventually, the adrenaline-packed, if disappointingly bland-looking final level, leads to a satisfying conclusion. We've look at features like video creation (Saved films) and Forge in detail in previous features, and it was obvious from our preview access to the game that these would wind up being excellent additions to the mix. 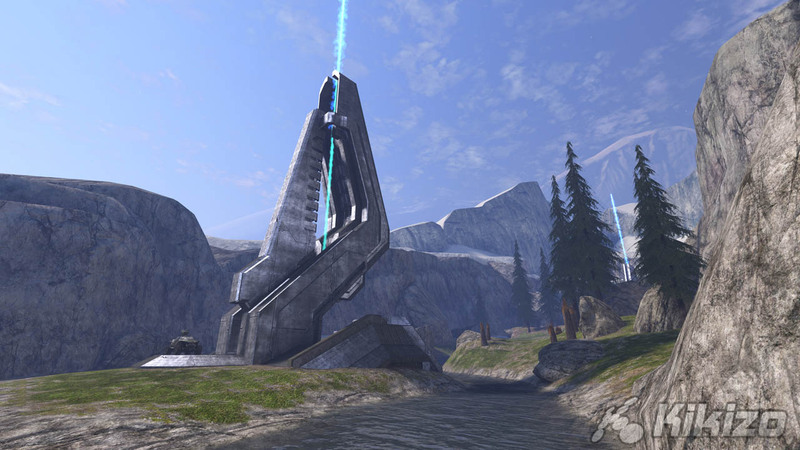 Video mode offers a surprising amount of flexibility in terms of both creation and online sharing, while Forge gives a pretty incredible amount of added value and quirky fun with its ability to literally change the design of the map you play on, as you play it. 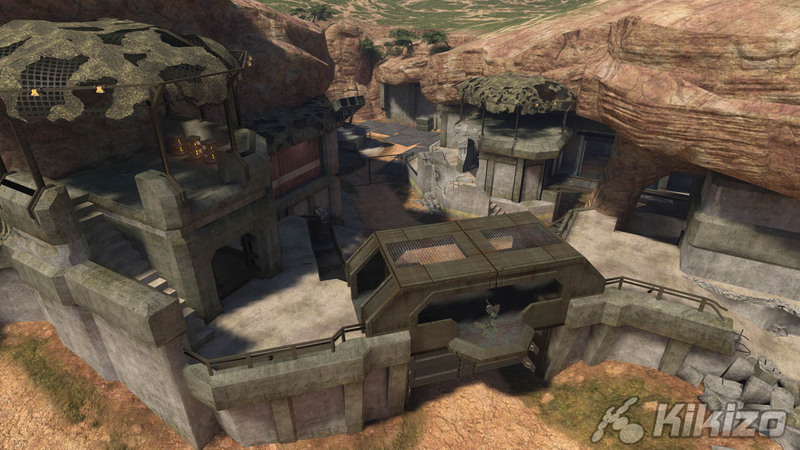 As everyone knows, the real meat of Halo 3 is in the multiplayer. And anyone who's played the Multiplayer Beta in May has a taste of what to expect. 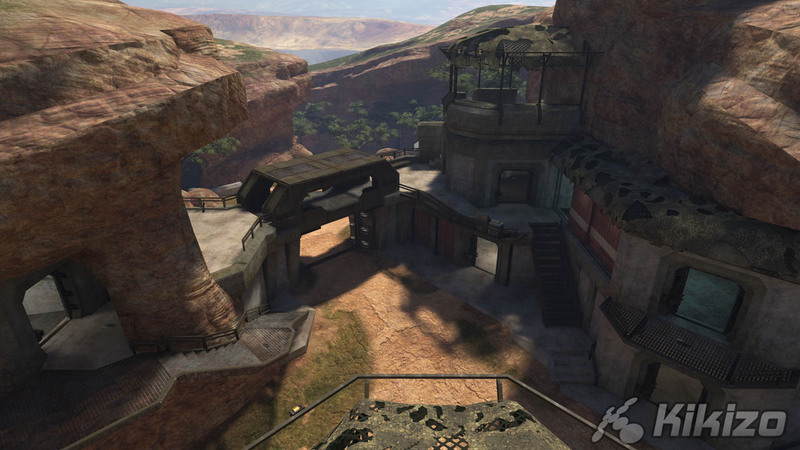 In the final game, there are some excellently designed new maps that meet the visual and tactical standards we hoped for, and the ability to fine-tune your game exactly as you want it, ensures that multiplayer Halo 3 - whether it's every man for himself, in teams, or any number of other modes such as King of the Hill, is simply the finest and most polished multiplayer experience you can get in a FPS - online, via LAN, or whatever, and with intuitive, no-fuss lobbies to match. I admit I've not had a chance to check out the multiplayer co-op yet, but if it's anything like the flawless integration of all the other components, there's no reason to question it. The possibilities are almost limitless, and Bungie has done the right thing in putting so much attention to detail into the wider experience. On the whole, for something of this magnitude, we expected a little more je ne sais quoi out of Halo 3. 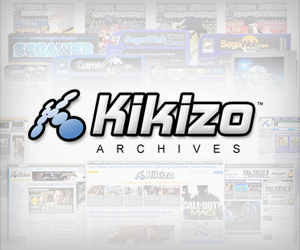 The quality of the singleplayer game is solid, but doesn't match the revolutionary experience of certain titles before it. It is tough to say what else could be done, other than a meatier campaign, but this is the direct danger of driving too much hype and expectation into such a massive sequel release. Nonetheless, it is a fantastic FPS. 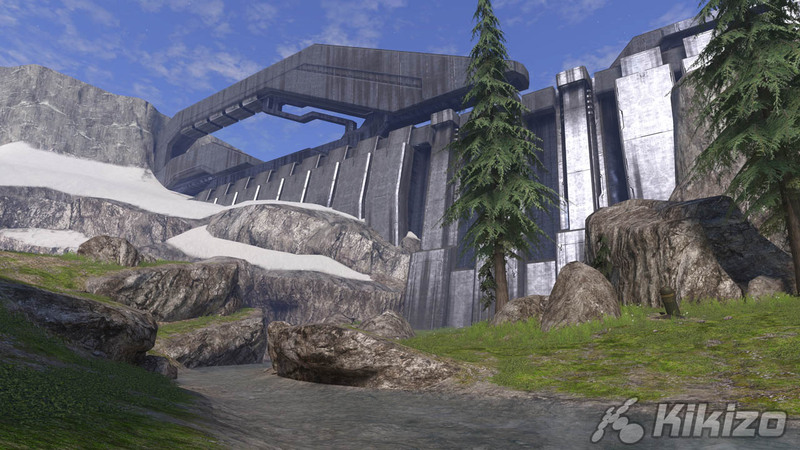 While singleplayer is honestly not as substantial or as innovative as a variety of games on the market right now or coming this year, it's difficult to know what more Bungie could have done with Halo 3 as an overall game. Coming into this review and as I started to play the finished version of Halo 3, I was critical. 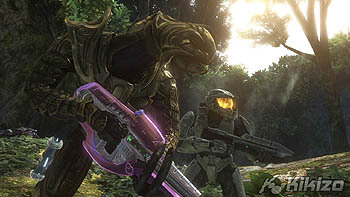 The game should not be granted a free game of the year ticket off the back of its hype; after the letdown of Halo 2's campaign it had a lot to prove. 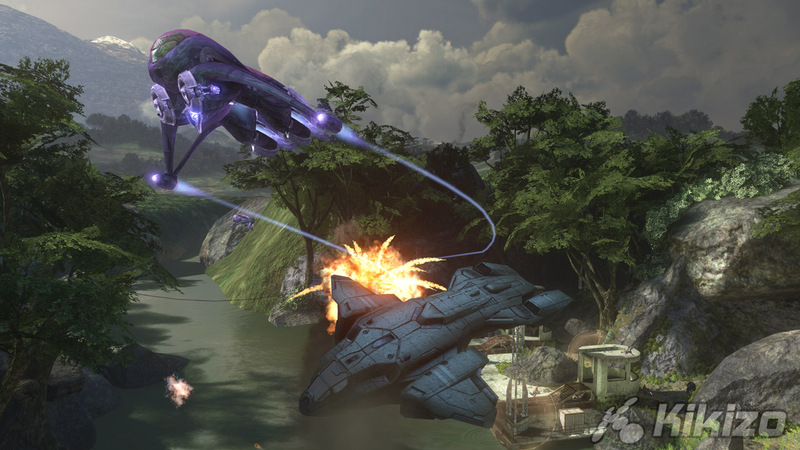 Thankfully, Halo 3's campaign mode feels dramatic and satisfying (if a little short), while all the new features ensure an overall package that has definitely won me over.